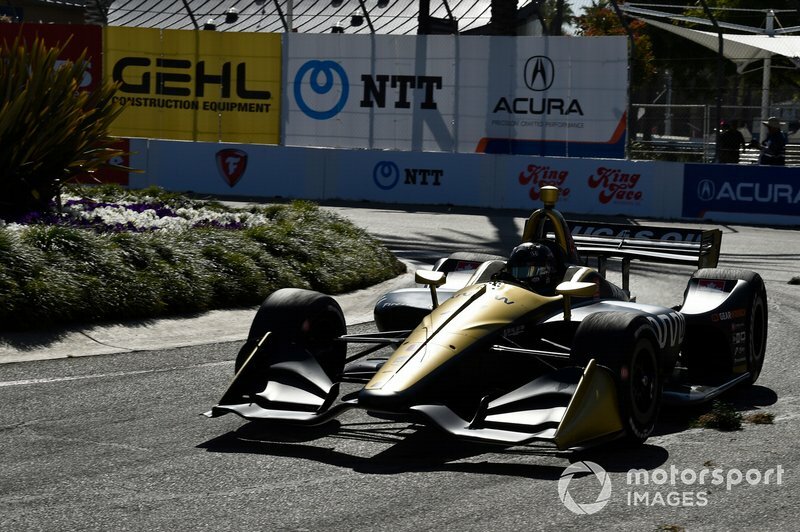 The Acura Grand Prix of Long Beach is one of the crown jewels in the NTT IndyCar Series schedule – 45 years of heritage will do that for an event – and its presence is appreciated by the City. What was once a rundown seedy suburb has flourished thanks in no small part to this race putting Long Beach on the map. It’s now a place for real estate developers to build, for hotel chains to site some of their grander buildings and for upmarket restaurants to feed the rich and vaguely famous. No, it’s not America’s answer to the Monaco Grand Prix, despite the harbor-front setting, but that’s a good thing: blue collar mingles with white collar here, and so admission prices are kept to a very acceptable level. Most importantly, the race has become absolutely intrinsic to April in SoCal, and the 187,000 who visited from Friday through Sunday last week were rewarded with beautiful spring weather and the traditional intoxicating blend of cars, carne asada and carnie atmosphere. While the race is prestigious, the track’s current 1.968-mile layout does not present many passing opportunities for fast open-wheel cars, even IndyCars that have been expressly designed to behave well in each other’s ‘dirty air’ wake. So here, more than most other road and street courses on the IndyCar calendar, it is important to qualify high up the grid because when the whole 23-car field can be covered by a mere 1.1sec, one driver’s pace advantage over the car in front is never going to be substantial. 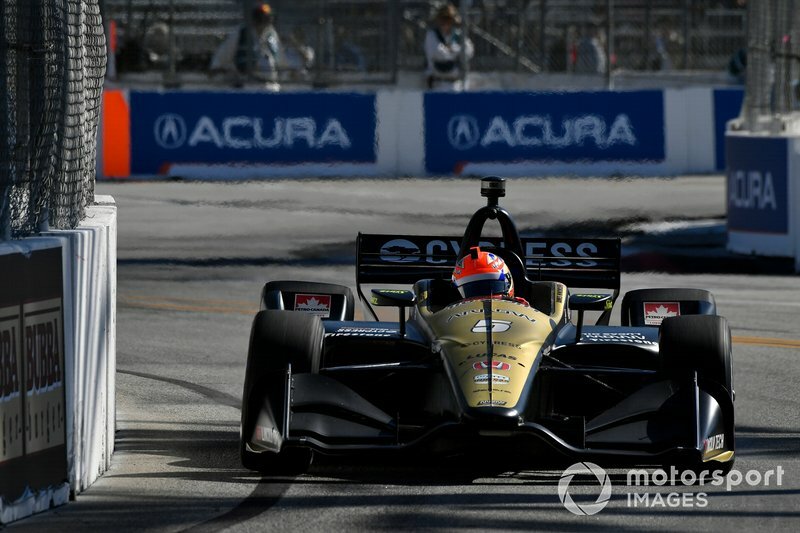 Arrow Schmidt Peterson Motorsports, which won this race as recently as 2017 with James Hinchcliffe, struggled a little at Long Beach last year and thus spent much of the recent offseason trying to nail down a strong street-course set-up. After a weekend at the Beach, the team’s engineers and drivers still aren’t entirely sure how much progress was made because Fate chose to throw more obstacles in their path. For Marcus Ericsson, being a smart cookie for a rookie, gradually building up his pace was a sound policy on a track which to him was alien aside from simulator work and videos of onboard footage. 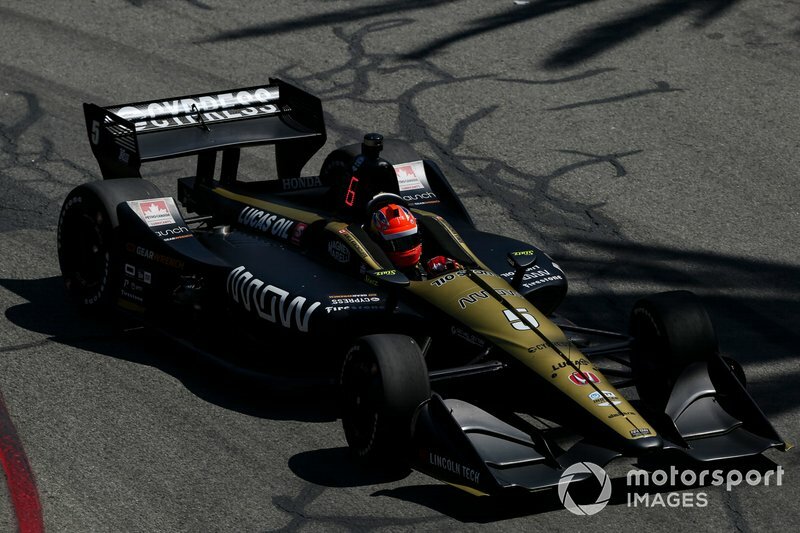 Hinchcliffe, who had raced here 13 times previously – eight at IndyCar level – it was easier to start exploring the limit. Unfortunately in second practice, sampling a set of Firestone’s softer, grippier alternate compound tires traditionally used in qualifying, he was held up by another car on what should have been his best lap. Doubtless muttering words not found in the Bible, the 32-year-old Canadian returned to the pits pleased with how the car felt but not having the conclusive proof – a quick lap time. Yet Saturday would find a way to turn worse. In the first stage of IndyCar qualifying, Q1, which is divided into two groups based on times from the third practice session, a driver traditionally sets a ‘banker’ flying lap on the harder black primary Firestones. This is a chance to reconnoiter the course one last time and also assess the car’s handling which, if ambient and/or track conditions have changed since morning practice, may require a last tweak or two. Then he will pit and switch to the softer reds for an edge-of-reason-and-adhesion effort to progress to the next stage of qualifying. Both James and Marcus were in the Group 1 segment, and each felt they had not quite extracted the best from their primary tires – the tiniest of errors can give away vital tenths of a second – but both pitted for their red tires and headed out on course to set their qualifying laps ‘proper’. Unfortunately, before they got their chance one of the series veterans, Tony Kanaan, crashed on his qualifying run, necessitating IndyCar to wave the red flag and halt the session. The problem is, the session clock keeps ticking through this down period, and by the time the damaged car and sore driver were rescued and the tire wall repaired, the session was done. The Arrow SPM drivers were left on the outside looking in and would start the race 15th and 19th. 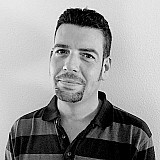 Said Hinchcliffe: “It's something that has caught out a lot of people this year. As drivers and teams, you can't predict this, unless you want to start [the session] on your reds, which exposes you in a different way. If IndyCar’s not willing to make a change, that might be a strategy that people start adopting. Ericsson expressed similar sentiments: then the pair of them and their engineers – Blair Perschbacher (Ericsson) and Will Anderson (Hinchcliffe) – and strategists – Taylor Kiel (Hinchcliffe) and Billy Vincent (Ericsson) – got their heads together to discuss the best ways of tackling the next day’s race. Anderson told Motorsport.com: “Judging by what James had done on reds halfway around his lap, before the red flag came out, it looked like we should have qualified somewhere between sixth and eighth, I think. So we knew we had decent pace. It certainly did. 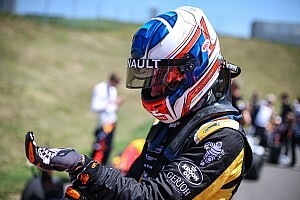 While Hinchcliffe gained only one position in the first stint, he made a slightly earlier stop than the cars ahead, and with the red tires’ ability to swiftly get up to racing temperature, he had a grip advantage – ergo pace advantage – over all those who’d started on reds but were switching to the less grippy primaries. 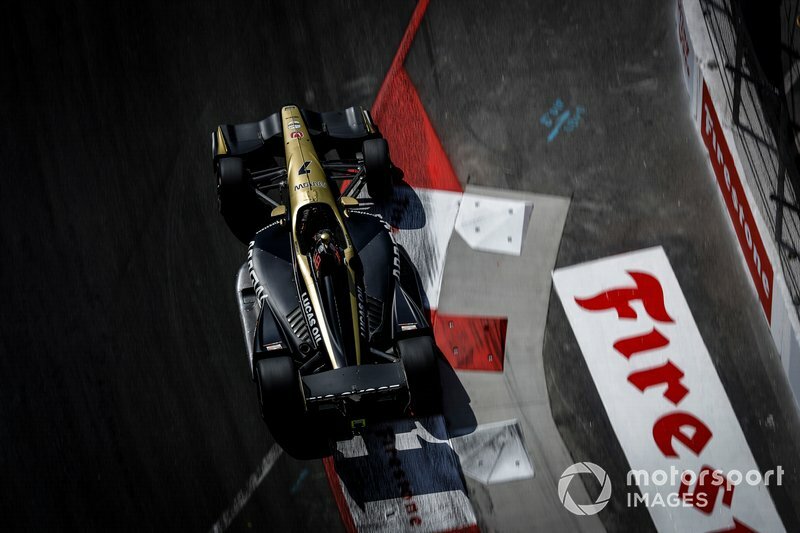 Nailing his in-lap and out-lap – and the next seven laps – James also sent the Arrow SPM-Honda past Chip Ganassi Racing’s Felix Rosenqvist on Lap 31 to grab ninth place. “It’s tough at Long Beach,” said Anderson, “because as well as it being so hard to pass, there’s almost no tire degradation. So if your car’s balance was better on blacks [primaries], you were better to run blacks and you could go as quick as on reds. Long Beach is unusual like that. As it happens, our car was handling well on both tire compounds, so the reds did give us a bit more pace by offering more grip and they didn’t have much tire deg[radation] over a stint, certainly not compared to some cars. 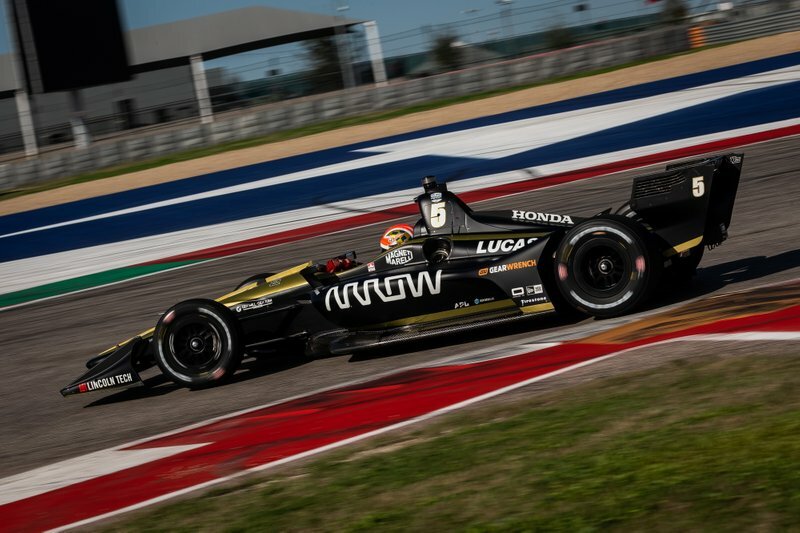 When Will Power made a mistake at Turn 1, he emerged from the run-off area just ahead of the #5 Arrow SPM-Honda, but Hinchcliffe couldn’t quite find a way past. 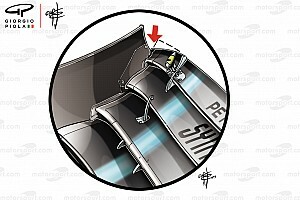 Said Anderson: “I think the problem was that in order to get those fast laps before and after our first pitstops, James had used quite a lot of push-to-pass boost. We’d definitely got our reward for that, but it meant that later in the race we were a little short on those push-to-pass boosts, and you don’t want to leave yourself vulnerable if there’s a caution period, everyone bunches and you’re a sitting duck at the restart. As things transpired, aside from a three-lap caution after the start, the race ran green all the way to the checkered flag. 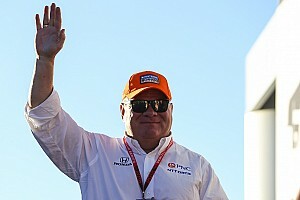 This is no longer unusual in IndyCar, and Anderson believes it’s a result of three factors. “There are a lot of really good drivers here,” he said. “We probably do see more yellows and reds in practice and qualifying than we used to, because everyone’s so on the limit – or over it. But when you get into the race and back down by a fraction, everyone’s well capable of driving like that all day. “Also, the nature of this track means that it’s so difficult to run close to the guy ahead, and so there’s a lot less contact between the cars, so fewer accidents. Unfortunately for Ericsson, Long Beach bit him – as it did all IndyCar rookies over the course of the weekend – and he was the cause of the race’s only yellow. As a first timer and running near the back of the pack, he hadn’t anticipated just how much of a bottleneck he’d encounter down at Turn 3, the fountain turn, on the opening lap. The congestion caused by 23 cars trying to file through simultaneously leaves the tailenders appearing almost to stop, and Marcus was unlucky to tag the car of his semi-teammate, Meyer Shank Racing with Arrow SPM driver Jack Harvey. 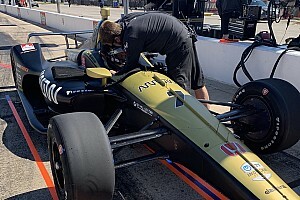 The pair stalled on track requiring a bump start from IndyCar’s AMR Safety Team and he then had to head for the pits to have his car repaired and checked over. When Marcus was then issued with a drive-through penalty for being judged by IndyCar’s race control to have caused the accident, the #7 Arrow SPM machine was left a lap down and the lack of yellows gave him no chance to get back on the lead lap. That has been the Arrow SPM team’s ethos all year, and indeed ever since the checkered flag fell at last year’s finale. 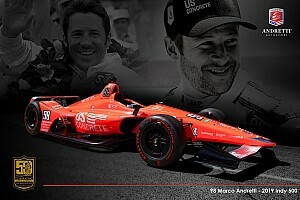 Now it’s time to see that hard work pay off in the Month of May at Indianapolis Motor Speedway – the Grand Prix on the road course, and then the world’s most historic race in front of the world’s biggest one-day sporting crowd, the Indianapolis 500. 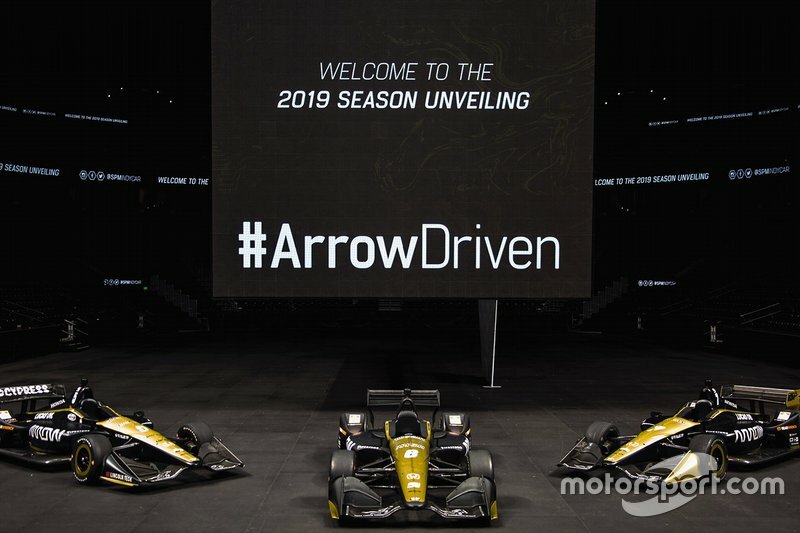 The Arrow Schmidt Peterson Motorsports cars of (left to right) James Hinchcliffe, Robert Wickens and Marcus Ericsson.